Future of AV-over-IP dissected by AV podcast panelists ahead of InfoComm 2017, which promises many solutions for the contested distribution system. If IP networks are the post office of digital distribution, then AV-over-IP systems used to be the devious mailman who opened client mail. 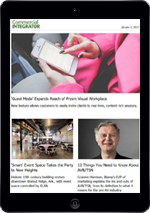 At least, that was the fear – until a major shift in thought rocked InfoComm in 2016. This year’s trade show promises many high-bandwidth solutions for integrators to use in a host of commercial settings. Last year, WyreStorm called AV-over-IP “the future of distribution technology.” Video distribution magnate ZeeVee, expected to bring much of the new tech to trade shows, now offers a training program for it. 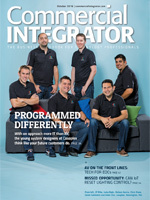 So what can integrators expect going forward? A recent AVNation podcast delved headfirst into the future of AV-over-IP with a wide-ranging panel of guests. One contributor, AVWeek panelist George Tucker, said eager evangelists for this form of distribution need to accept and adapt to the inevitable “IP guy” role needed to maximize business – especially so if the aim is to replace the matrix switcher, he said. The countdown has begun. Are you ready for InfoComm 2017? While the panelists agreed increased IP usage would pave the way for a big bandwidth push, home automation expert Anthony Zotti indicated that the average American residential or commercial infrastructure isn’t yet equipped to handle bandwidth-hungry applications passing over the WAN instead of the LAN. The podcast’s host, Tim Albright, pointed out that many areas of the United States don’t even have access to broadband. With or without that access, there are methods which don’t rely on the 10 GB solution offered by the SDVoE Alliance (Software Defined Video Over Ethernet). Bill Lally of ModeGreen said there are more potential endpoints on a 1 GB network than a 10 GB one, while Tucker explained the importance of compression. Related: QUIZ: How Well Do You Know AV over IP? Tucker said some customers, especially ones who monitor items or places and require video to be latency-free, will simply necessitate a parallel network with a separate ethernet network. So the quality of video needed still plays a key role in the integration of AV-over-IP networks. 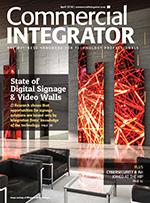 No matter what solutions integrators choose, they’ve got to stay candid: AV-over-IP is here. It’s not “the rise of AV-over-IP,” for the technology has already risen. Its looming presence in the industry is an obvious focal point, and if ZeeVee CEO’s comparison holds any weight, it will likely continue to be so.